This summer, I embarked on another album recording adventure… this time, with a new stylistic twist – a collection of “riverside hymns and spirituals….” As I thought about the direction to take this album, I began in the same place I began with my previous album – reflecting on the journey the Lord has me on in life right now. Over this past year, God has been leading me to find all of my joy in Him, regardless of what circumstances in my life looked like. In this broken world, Christ is our joy, and Heaven is our hope. As we journey through this wearying life, our gracious Father gives us places of rest – sometimes physical, and sometimes spiritual. I began to see that in Scripture, the riverside is a glorious place of fellowship, rest, worship, and in some cases, the gateway to Heaven. When I decided on the theme of “Heaven” for his album, my musical search centered on hymns and spirituals that explored that theme. I found colorful chords, and a variety of improvisational patterns to build the backbone of this new album. Pulling from countless styles, including Appalachian, Celtic, Classical, Folk, Gospel, and even some hints of swing and jazz, I covered the piano keys, forever seeking the “just right” sound for the improvisations. It was delightful. Beyond the music, I learned beautiful things about Heaven as I explored the slaves’ songs – known as “spirituals.” They talk about Heaven being a place of fellowship – where we feast at a banquet that the King has spread for us. They describe Heaven as a place of rest – where we cease our earthly labors and toil no more. And most of all, they emphasize that Heaven will be a place of worship – where we cast our crowns at the feet of Christ Jesus and bask in the everlasting joy of His presence. Above all, I was drawn to the hymn, “The Sands of Time are Sinking,” by Samuel Rutherford and Anne Cousin. In it, the hymn sings of heaven, touching the most beautiful musical and theological depths. The hymn is highlighted on the album as the opening track (prelude) and the closing track (reprise). And glory, glory dwelleth in Immanuel’s land." “O Christ, He is the fountain, the deep, sweet well of love! “And glory, glory dwelleth in Immanuel’s land. “O I am my Beloved’s and my Beloved’s mine! 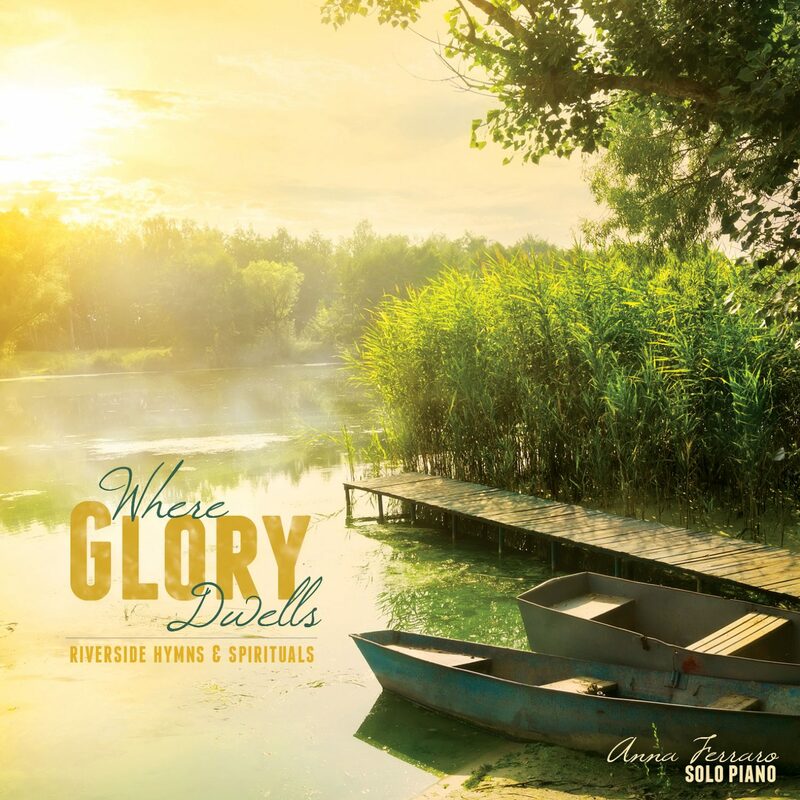 Thus, the spirituals on this upcoming album, combined with hymns, and improvised in fresh and energetic styles, are designed to communicate the eternal delights that await us in Heaven by taking us to the river’s edge – a place where glory dwells. Stay tuned for upcoming information about the album release in October 2017!